who sadly passed away this year at the age of 65 due to a long period of ill health taking its toll. Roger is deeply missed by his family, friends, staff and customers. 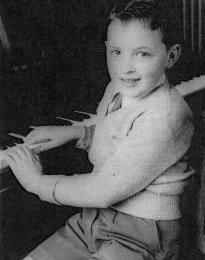 Roger Charles Hotchkiss was born at a Nursing Home in Shrewsbury on 18th March 1950. His first home was at Grafton near Shrewsbury, but shortly after he was born the family moved to Shrawardine, near Shrewsbury as his mum Alma and dad Charlie worked on local farms there as his mother had been an army land girl in the war. 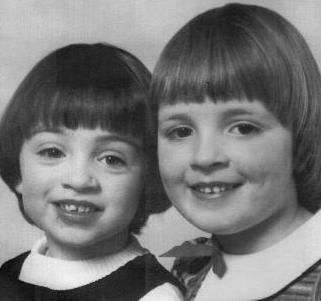 Later Rogers sister's Julie and Angela were born, whom he loved to boss around which helped him manage a workforce of all women in later pub life! Roger loved the country life and spent many happy hours on the farms with his mum, dad and sisters and as a young lad he always enjoyed fishing with his dad and friends and continued to be a keen fisherman. The family then moved to The Crescent, Montford Bridge. Roger's first school was Montford C of E and he was an altar boy at Shrawardine Church, then he moved up to The Corbett School, Baschurch. After completing his education he took an apprenticeship at the Midlands Electricity Board to be an electrician, at the same time he also took a part time job for Miss Trickett at the local pub, The Wingfield Arms, Montford Bridge, and as soon as he was old enough he was behind the bar serving, with his natural flair it wasn't long before he was head barman, working most evenings and weekends as well as his full time job. Roger qualified as an electrician and later became Chief Estimator for Hartleys Electrical, as well as a part time security patrol man for Securicor alongside his dad. He loved taking the Alsatian dog Prince out on patrol with him and had always had an Alsatian guard dog at the pub ever since. One day he went to sort an electrical job at Shelton Water Works and it was there that he first met the love of his life and future wife the late Joyce. 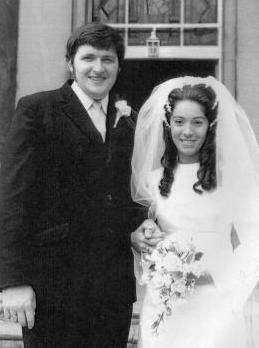 They married at St Chad's Church, Shrewsbury on 12th August 1972 and made their first home together in Bayston Hill. They then moved to Gains Park and within a couple of years they took their first step in the pub trade and moved on to run The Royal Oak, Dovaston, near Oswestry, together they soon built up a thriving business. Roger being an excellent darts player organised darts and dominoes teams whilst playing for Shropshire. It was then time to move to a bigger pub, so they took over the Hare & Hounds, Crackley Bank, for a year. Joyce was now heavily pregnant with Fiona so they were ready to move again into The Brewery Inn, Coalport, on the 20th November 1980. Fiona their eldest daughter, was born soon after in December 1980 and their other daughter Rachael, arrived in May 1982 and their family was complete. In the mid 1980s they also took on The Shakespeare Inn at Coalport. They supported Telford Tigers ice hockey team and gave International players a place to stay and call home, with many players staying during the 1980s. Sadly Joyce died after a battle with pancreatic cancer in February 1993 and left a great void in Roger's and their daughters' lives. 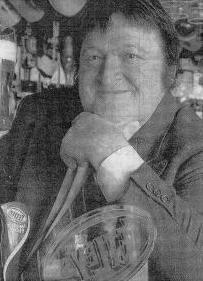 The loss of Joyce was always emotionally hard for Roger to accept, but he always remained the cheerful landlord and big character behind the bar. Roger then went on to run The Eagles at Cressage, The Huntsman at Little Wenlock and The Six Bells at Madeley. However, The Brewery Inn has always remained the family home where Roger brought up both daughters alone. He did extensive fundraising for local charities, mainly The Severn Hospice, raising over £7,000 for them alone. He also raised money for Cancer Research, Hope House Hospice, Midlands Air Ambulance and local animal rescue charities totalling another £7,000.